The Boeing 777-300er is the backbone of the Emirates fleet. Over the years the 'Triple-7' has become more than just an airplane, it is now a brand flying the skies all over the world. It is a product that has a great reputation within the aviaton industry and is loved and enjoyed by thousands of passengers every day. I've had the pleasure of travelling on a lot of Emirates flights throughout the years, including one of the longest direct flights in the world, the EK218 from Los Angeles to Dubai. This same route is also operated by an Emirates A380 Airbus as EK215, making it the longest non-stop Airbus Super Jumbo flight in the world. In this article I mainly want to show you what the Boeing 777 experience is all about and why it leads the international market. Its First and Business Classes are all about luxury sure, but it's also got an amazing Economy Class that keeps you comfortable throughout some very long flights. Let's get into some more detail! This Emirates flagship carrier is the most popular aircraft in the world, with more than 1,500 of them flying around the world every day. Almost every major airline trusts and utilizes the Boeing manufacturers from Seattle, USA. It's a sturdy workhorse that can fly you halfway around the world without the need to land. Direct market competitors are the A330, A340 and the new Airbus 350 that is expected to join the industry later this year. The Boeing 777 is one of the safest aircrafts in the world. Until the Asiana Airlines crash in San Francisco in mid 2013, there had been no fatalities associated with the Boeing 777. Asiana's two fatalities were the first recorded in its 18 years of operation, and the crash was due to a pilot error and not aircraft issues. The recent Malaysia Airlines flight MH370 which has been missing ever since the 8th of March 2014 was also a Boeing 777, and its destiny is still unfortunately unknown to this day. Best Seat on the 777: There are shared opinions but check what Seat Guru has to say by clicking here. It's no secret that I love ICE, and no I'm not talking about ice cream but the Emirates entertainment system which is simply known as ICE (Information, Communication & Entertainment). 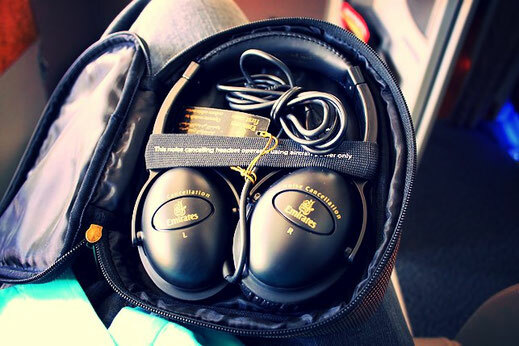 ICE was voted as the best aviation entertainment system in the world in 2013 and 2014 by Skytrax. You can pick between hundreds of options for movies, music, TV series and games channels. You'll never get bored, and that's a fact! The new screens come in a 16:9 format, are easy to handle and are as responsive as an Apple iPad. The days of your fingers being in pain after a flight because the display simply didn't respond to your wishes are over! Emirates is quite generous when it comes to your luggage - 30kg for each Economy traveller. That's not typical as usually other airlines only offer 20kg or less. You better take advantage of it! Something that I dislike about Emirates is their cabin crew. Most of the time they can't identify themselves with the airline and its customs and they seem tired most of the time. They seem overworked and are even surveilled by the airline management. I know an Emirates crew member who posted on his personal social media account that he didn't like working on a certain aircraft, said nothing about the Emirates brand, and was immediately fired from his position. In the air, you will get a "NO" as an answer quite often, mostly from their Asian staff who really lack a basic knowledge of English. I have also experienced a lot of Eastern European crew in the Emirates team, most who have a massive attitude problem and only start working for Emirates to hook up with wealthy Arabs who are starving for some good times. Overall I think Emirates HR is missing a real sustainable strategic effort when it comes to their cabin crew. A common procedure among Russian cabin crew - facelifts, has also finally arrived within the cabins of the Emirates Boeing 777-300er. Most of their cabins are being refurbished at the moment, including brand new seats and an amazing 16:9 screen in front of you. These screens are super responsive and are easy to handle, and this tool will actually improve the quality of your flight a lot. Yes, finally a little bit of their "Hello tomorrow!" campaign is reaching the cabins. The 4:3 screens from 1972 are no longer present. Some Triple 7's may still have the old design but you can be sure that Emirates is trying hard to refurbish them all. Have a look at the Seat Map to find your best seat. 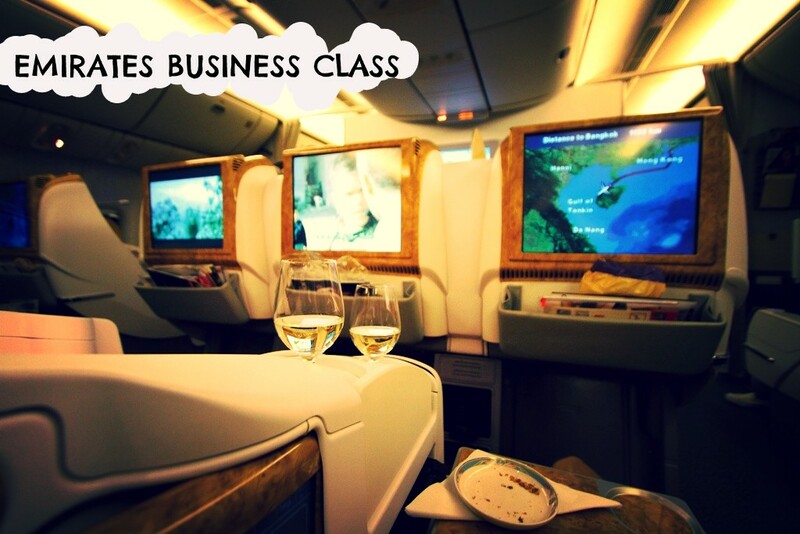 Emirates has a pretty decent Business Class and perhaps offers the best corporate product in the industry. Apart from the flat bed experience, you will also have your own personal mini-bar, personal storage space and a privacy divider that can turn your seat into a little self-contained pod. Every businessman/woman relies on their laptop and you won't have to worry about your device running out of battery during a flight, due to the in-built seat power supply. 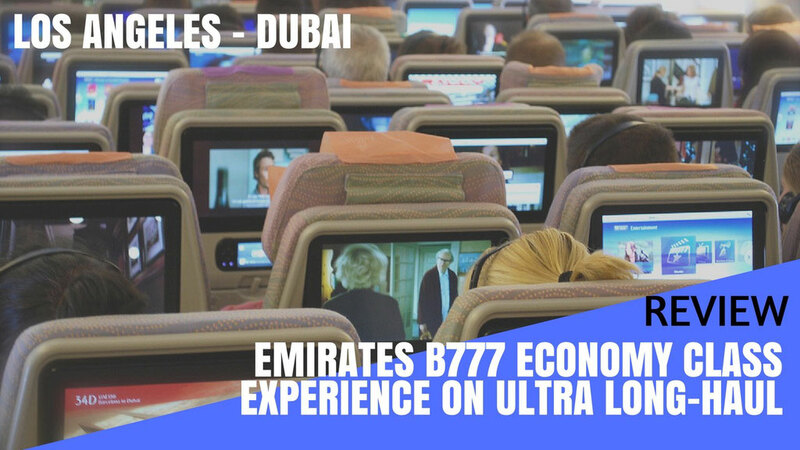 You may even get to enjoy the free WiFi on selected Boeing 777 flights. Business and First Class travellers are invited to spend some time at Emirates' luxury lounges. You can dine on great food, enjoy the Business Center to catch up with some work or just have a cold beer. The Emirates lounge in Dubai even offers a Spa to its First Class travellers. A limousine service is also included and can be arranged online here, with a so-called "luxury" Volvo (there is nothing luxury about a Volvo, don't know where they get that rubbish from). 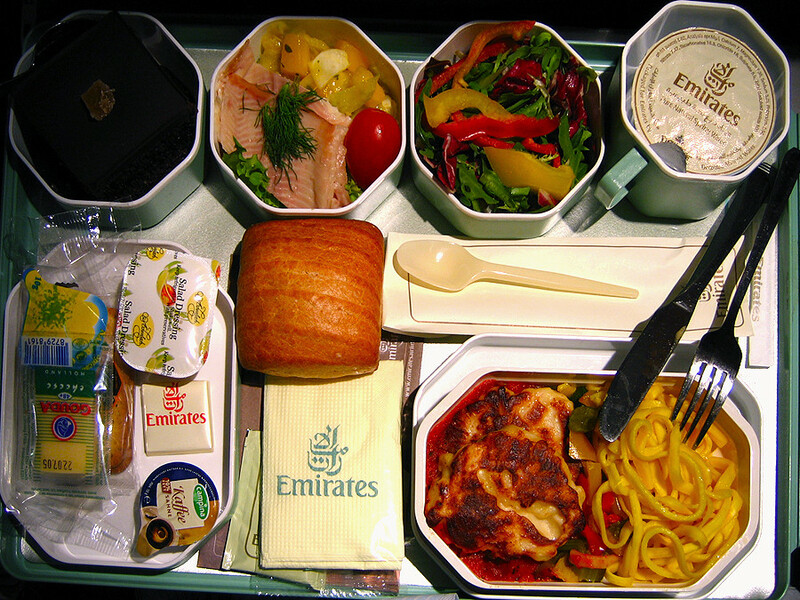 Emirates offers you a wide range of healthy and award-winning food. 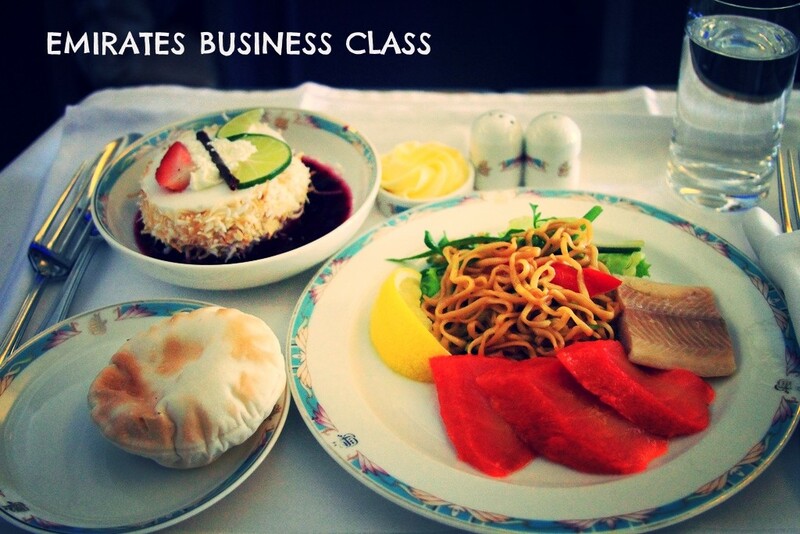 In Emirates Business Class you will be offered a three course meal. There are no paper napkins or plastic cups either, there are linen napkins and silver cutlery of course. The airline from Dubai offers you everything you need to relax to the fullest. Complimentary champagne, a huge variety of beers, cocktails, wines, liqueurs and long drinks. All these amazing drinks are of course not availabe on flights to Saudi Arabia. If you ever get to fly on an Emirates A380 you should try the SkyBar. It is a real bar open for First and Business Class travellers, and is a great place to socialise. Unfortunately this bar isn't available on the Boeing 777, probably due to the lack of room. Well, if you have the money to book a First Class flight you probably won't be reading my review or won't really care if I say that the pillows weren't fluffy enough. Let me give you guys a little taste anyways. 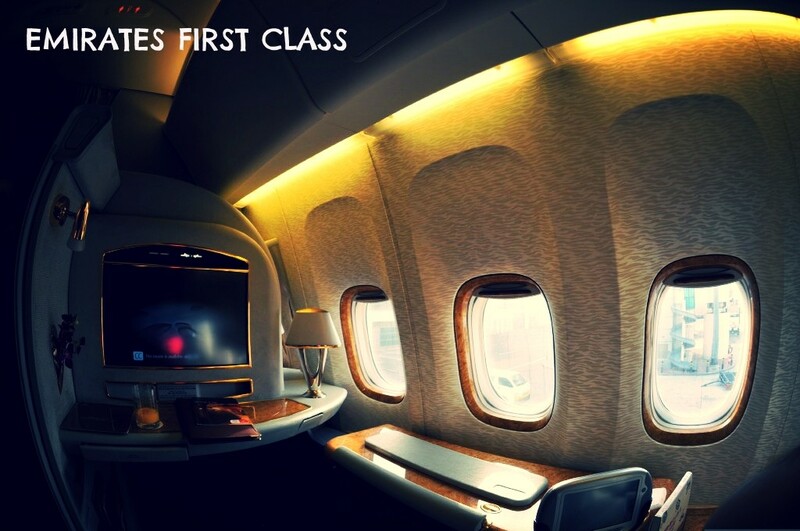 The refurbished Boeing 777-300er have adapted the same First Class cabins you can find on an Airbus A380. You are going to spend your flight in your private suite with flat bed, flat screen and flat cabin crew. Unfortunately you won't get to enjoy the SkyBar or SkyShower on a 777. But don't worry, you will still be pampered like a king. 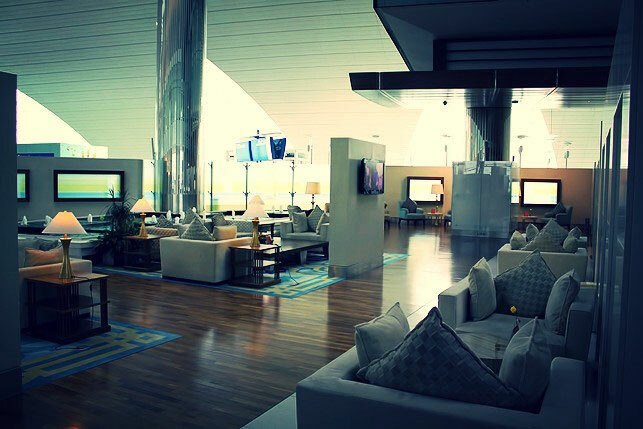 Emirates has a dedicated First Class lounge and priority check-in. The First Class limousine service is on a luxury Mercedes - definitely better than a Volvo. Yes, every wish will be granted! 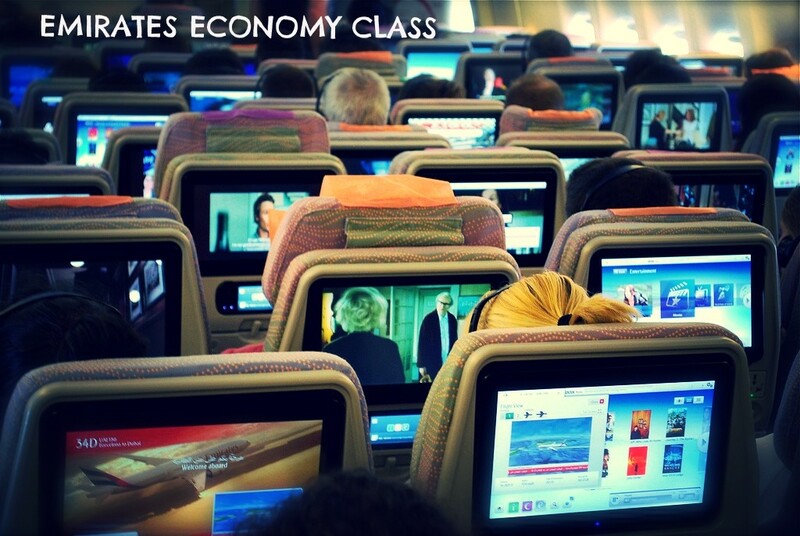 Emirates Boeing 777 has one of the best Economy Classes in the world, that's a fact. Its Business and First Class are also pretty outstanding. It's not a secret that Emirates orders pretty decent airplanes and follows a true luxury strategy. It's very close to the perfect airplane and if you have the chance to fly on an Emirates Triple 7 then I can tell you that you are going to have a very pleasant flight. For the America to Dubai flights I recommend that you request a window seat right in the back so you can enjoy the view while flying over Canada and especially Greenland. Overall the Boeing 777 even beats the Airbus A380 in my opinion. 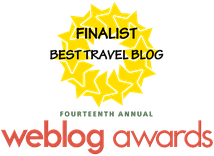 The entertainment system is outstanding, the food delicious and well, the cabin crew is usually below average but that's ok.
Get the latest review emailed!